South Korea is a country known for how quickly it went from being one of the poorest to one of the richest countries on the globe. This quick transition is captured in many ways. 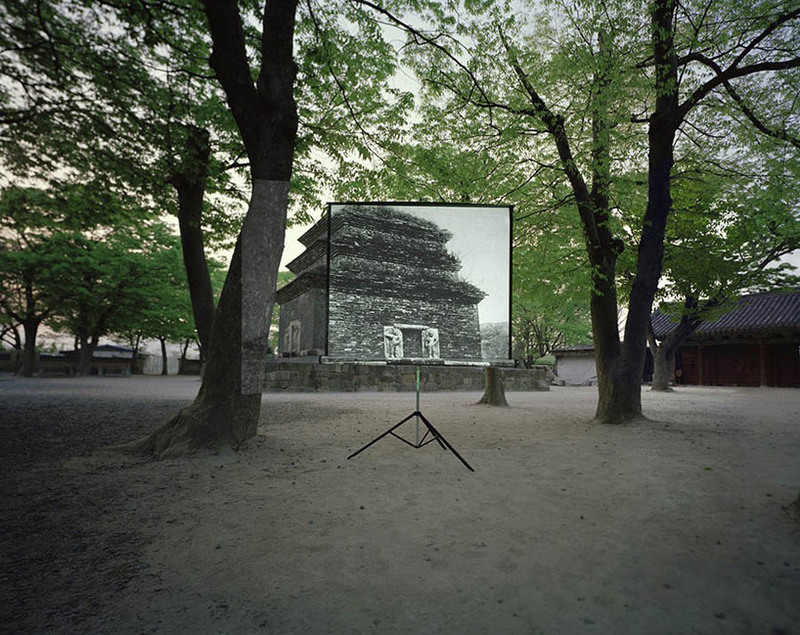 In this case, Sungseok AHN demonstrates Korea’s landscape in layered photographs of the past and present. To see how the artworks were displayed visit the artist’s website. Click here to see my most recent post on Art Radar Asia! I review top contemporary art destinations in and around Seoul. Samcheong-dong: PKM, Art Sonje Center, Kukje Gallery, Gallery Simon, Palais de Séoul, One and J Gallery; Alternative Space Loop; DOOSAN Gallery (in Seoul and New York); Art Space Jungmiso; and Hyeri Art Valley in Paju new the DMZ.